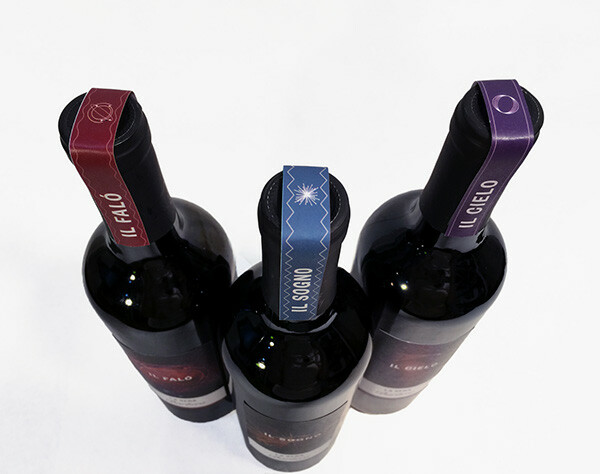 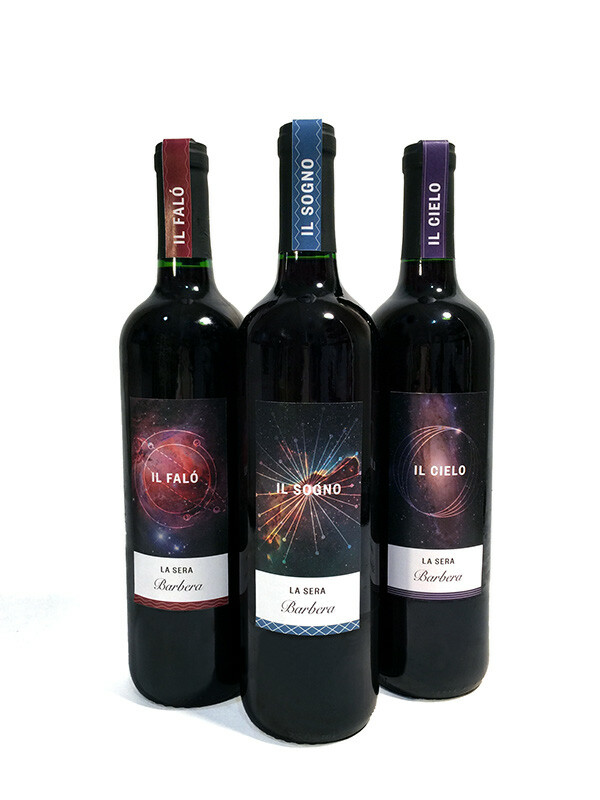 Package design for Italian Wine, La Sera Barbera. 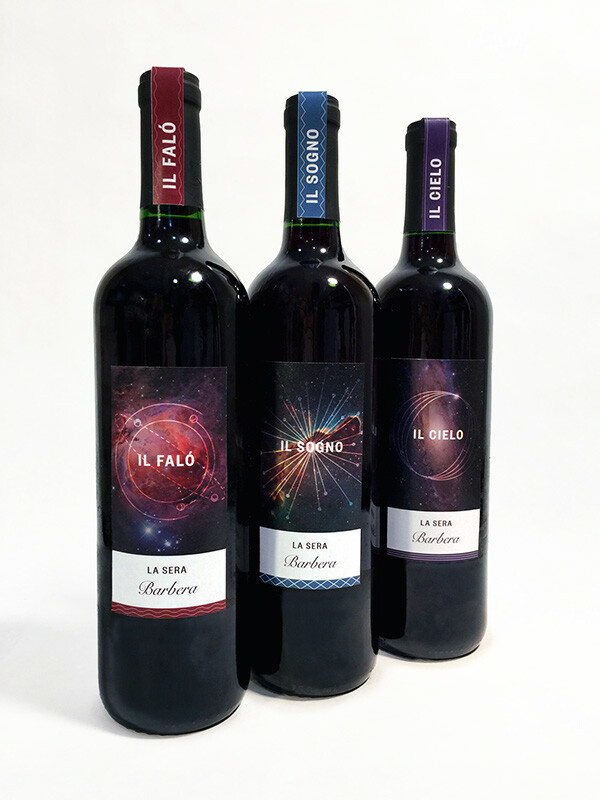 Three different varieties of Il Falo (Campfire), Il Sogno (Dream), and Il Cielo (Sky). 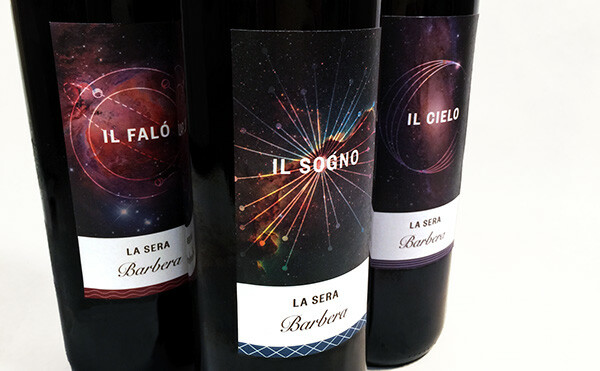 Since Barbera is a dark red wine, I wanted to evoke a sense of mystery and fantasy using cosmic imagery.